Samsung’s underhand share dealings will test how much South Korea really wants to rein in its chaebols. Construction firm Samsung C&T has sold a 6 percent stake to a friendly party in an attempt to neutralise opposition to its controversial $10 billion takeover by the South Korean conglomerate’s holding company. The maneouvre helps Samsung’s ruling Lee family plan its succession at the expense of independent shareholders. Official reaction will be a test of South Korea’s reform credentials. The battle kicked off last month when C&T accepted a low-ball takeover from Cheil Industries, the company through which the Lee clan effectively exercises control over the Samsung empire. A week later U.S. activist hedge fund Elliott revealed it had bought 7.1 percent of C&T and intended to oppose the offer. C&T has now fought back by selling almost 9 million treasury shares to KCC Corp for $608 million, making the South Korean builder its fourth-largest shareholder. KCC is expected to support the merger even though doing so will leave it with a loss. At current market prices, Cheil’s all-share offer is worth almost 63,000 won per C&T share – 16 percent less than the price paid by KCC. It’s up to official institutions to decide whether they want to stop such shenanigans. Elliott has gone to court to block the C&T takeover, and is now also seeking an injunction against the sale of shares to KCC. Meanwhile South Korea’s National Pension Service, which owns 10 percent of C&T, must choose whether or not to accept the offer. Its decision is paramount as the deal requires the approval of two thirds of shareholders that cast their vote. It’s not new for South Korean conglomerates to use treasury shares in an attempt to resist foreign shareholders. In 2003, oil refiner SK Corp used the tactic to fight off calls for management changes from private investment fund Sovereign. Yet even domestic investors are becoming increasingly vocal about what they see as the abuse of corporate power by South Korea’s large family-controlled groups. The Samsung battle is an opportunity to show whether or not they are serious about reform. A man walks out of Samsung Electronics' headquarters in Seoul January 6, 2014. Samsung C&T said on June 10 that it would sell almost 9 million common treasury shares to construction materials group KCC Corp for 674.3 billion won ($608 million). The company said the sale would help to smooth its all-share merger with Cheil Industries, a theme park operator and the effective holding company of the group of Samsung companies. KCC will pay around 75,000 Korean won per C&T share, equivalent to the closing price on June 10. The sale will make KCC the fourth largest shareholder in C&T with a 5.8 percent stake after the transaction completes this week. KCC already owns 10.2 percent of Cheil, according to Eikon. Cheil announced on May 26 that it would issue 0.35 of its shares for each C&T share. 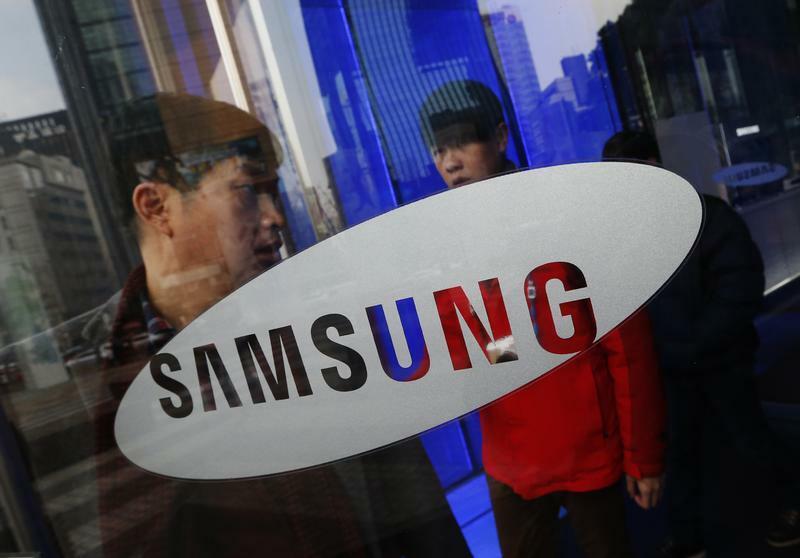 C&T owns a 4.06 percent stake in Samsung Electronics, according to Eikon. U.S. activist hedge fund Elliott said on June 11 that it has applied for an injunction to stop the share sale. Three days earlier, Elliott launched a separate legal action against C&T to prevent the Cheil takeover. The hearing is expected to take place on Friday 19, according to two people familiar with the situation. Elliott said on June 4 that it thought the terms of the takeover “are neither fair to nor in the best interests” of C&T shareholders. Before the latest share issue, the fund owned 7.1 percent of C&T. A shareholder vote on the merger is scheduled for July 17. The deal requires the approval of two-thirds of shareholders that cast votes. Samsung C&T shares fell 5 percent to 71,400 won on the morning of June 11. Shares in KCC fell 4 percent to 483,00 won, while Cheil shares were broadly flat at 179,000 won.